We LOVE classic cars and have an admiration for rare finds! It’s an experience like being in a living time machine, and being in business for over the past 30 years…we’ve seen quite a lot of interesting vehicles at Berman Nissan of Chicago! we’ve come across some truly unique models, and not just the cars, trucks, and SUVs we sell. Berman Nissan of Chicago and Executive Manager George Katsikas are dedicated to not only finding these vehicles, but bringing them to your screens. We believe pursuing a love of unique and classic vehicles is just another way of looking fondly and nostalgically back at our history. It doesn’t just stop at the classics, we love to highlight unique models, whether they’re fresh off the lot, a first look at an upcoming prototype, or just beautifully built! 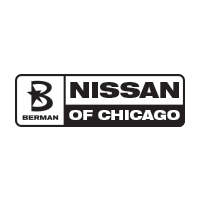 Check out Berman Nissan of Chicago’s videos shown below and get a closer look at amazing vehicles! Contact George today if you have a unique, muscle, cruiser, or collector car! We would love to hear from you! Interested in having your vehicle featured? Submit your contact information along with your vehicle, and if you are selected you will receive a free oil change and inspection on a vehicle of your choosing. Tell us about the year, make, & model of your vehicle or what makes your vehicle special. The Grand National Experimental. One of only 500 Grand Nationals sent to McLaren to be upgraded in 1987 as the “Grand National to end all Grand Nationals.” Take a closer look at this rare beauty at Berman Nissan of Chicago! The 1989 Saleen SSC, or Saleen Super Car, one of a small run of cars—under 200 total—that were built by Saleen in honor of the Mustang’s 25th anniversary. Take a closer look at this rare find. Get a good fantastic view of this 40 year-old vehicle that’s NEVER been exposed to the elements! Behold the BEHEMOTH that is the 2018 Nissan Titan XD Midnight Edition! Get a closer look at this giant, loaded, fully blacked out beast in this week’s video! Remember our Z28? Jump into the future with a look at the blacked-out 2018 Camaro SS Convertible available NOW at Berman Nissan of Chicago! After over 60 years of engineering innovation, the 2015 Porsche 911 Turbo is a spectacle! Take a peek at this vehicle brought to us from a private collection. Developed specifically for NASCAR racing, the Plymouth Superbird, a modified Road Runner, was one of the first NASCAR vehicles to break 200mph! The 2017 Nissan GT-R NISMO made its world debut at the famous Nürburgring race course, known as one of the longest and most challenging race tracks in the world. Get up close & personal with an extremely rare Nissan vehicle. Godzilla never looked so good!